For as long as I can remember, I have always wanted to travel to New York. Growing up, I watched numerous films, based in NYC and popular TV series, such as “Friends” and “Gossip Girl”. I knew I had to visit the City of Lights. After much anticipation, I finally made it! Between the bus tours, hitting every landmark and indulging in the city’s well – known cuisine, I can shamelessly say I was the typical tourist! While the architecture is jaw dropping on almost every street, I can honestly say that the food was easily one of my biggest attractions. I had breakfast here several times. The food is just as it claims, fresh and delicious! They have numerous, healthy things to choose from and many options for people with allergies such as myself. Their gluten-free pumpkin muffins were amazing and super filling – the perfect thing to snack on throughout the day! If you love cheese as much as I do, then this is the place for you! With an assortment of sandwiches that have definitely upgraded the basic grilled cheese, they did not disappoint. I have a slight obsession with truffle oil, so of course my go-to was the Truffle Melt – a must-have paired with a delicious shake! Soup and Salads are also an option for sides! Who doesn’t enjoy sneaking a few bites of delicious cookie dough when baking? Well at the exclusive, NYC shop, you can indulge in more than a few bites. The dough comes in a wide variety of flavours and is served in scoops, resembling ice cream! However, it is completely safe and guilt-free as they use all pasteurized eggs. They also offer a selection of gluten-free and vegan options so everyone can enjoy! Bar Pitti, located off 6th Avenue and Bleeker Street, is the perfect place to go for authentic, Italian cuisine. The gourmet pasta was everything I hoped for after a busy day of sightseeing. The outdoor seating, packed with wooden tables was also great as it gives you a chance to absorb the goings – on of the West Village streets. This plant-based restaurant, cafe and juice bar is a blogger’s dream with amazing, modern, yet rustic decor. Offering a daily, changing menu designed so you can “eat with the season”. They are also a huge supporter of local and organic farms, taking pride as the “butcher” of fresh produce. My favourite had to be their Smashed Avocado Toast paired with a refreshing Goddess of Green Juice! While I would easily go back to New York just for the food alone, I have also included a list of my 5 must-see attractions, and what I personally loved doing in NYC! I would go back to The Met in a second. 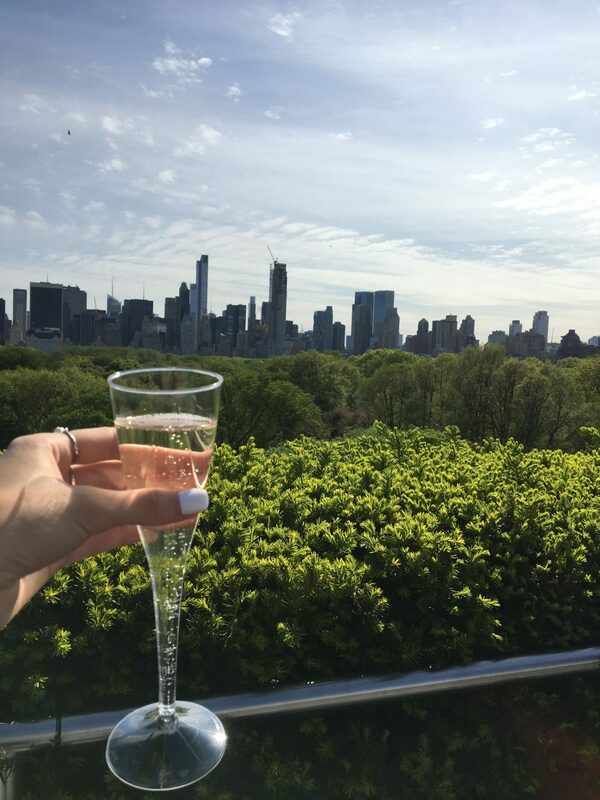 After enjoying the incredible, rooftop views overlooking Central Park and the classic NYC skyline while sipping champagne, we headed down to visit what was only a fraction of the displays located there. Although, museums are not for everyone, I was completely amazed by the years of art from every corner of the world. I was especially fascinated by the Ancient Egyptian exhibitions – a must for history lovers! The street that goes on for miles! Lined with so many great stores, Fifth avenue is completely glamourized by the beautiful architecture that engulfs the city. Of course I had to snap a few photos looking into the window of the iconic Tiffany’s. Although I have already done a post on the Bar 65 here, I had to mention it again, as it was a huge highlight of my entire trip. 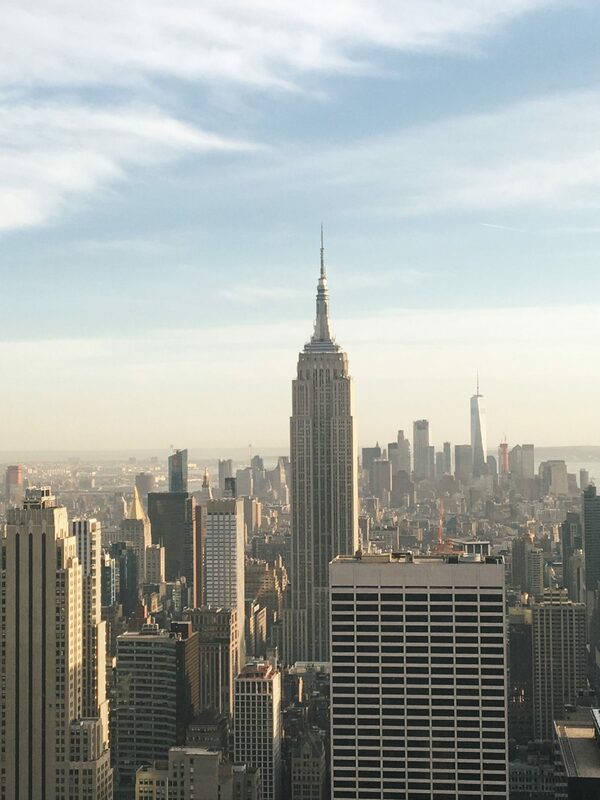 It is one of the highest, outdoor venues in New York, offering a breathtaking view of both the Empire State Building and Central Park. I had originally planned on visiting Top of the Rock which offers a similar view. However, after enjoying a delicious dinner and beautifully made drinks on this outdoor terrace, I felt nothing would compare. I spent a few days in the park and I can see why the locals enjoy it so much. However, still busy, it was definitely a nice escape from the hustle of the city streets. After spending a day walking the park, I have to say it was a lot harder than I expected, so the next time we visited we rented bikes for a few hours which was a great way to get around. If you can get past the overly – crowded streets of Times Square, then I highly recommend checking out this comedy club. We visited here on my last night in the city and it was a great way to end the trip. The entertainment was hilarious and there’s a hidden, little bar below the club that serves amazing martinis. A great way to spend an evening out! I hope this guide helps anyone looking for some fun while visiting The Big Apple!